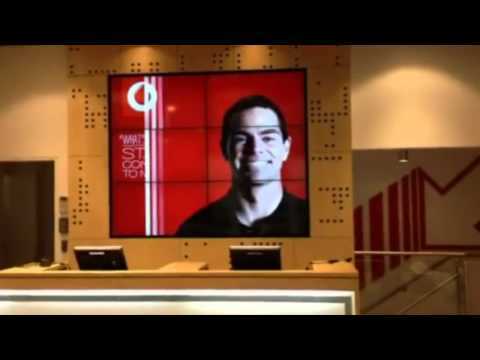 Video Wall for Vodafone, a big hit! No one does a Video Wall quite like and our Melbourne based partners! So we were chuffed when Vodafone approached us to come up with a fresh and exciting concept to promote their flagship store in Bourke Street, Melbourne. The FULL HD Video Wall installed behind the counter represents a stunning solution and a powerful statement to perfectly compliment the needs of our client. It’s the kind of display that astonishes consumers and makes Vodafone a real talking point. This impressive interactive display allows content to be updated quickly, requires only one or two button clicks, making the FULL HD Video Wall solution one of the best Turn Key solutions on the market today.